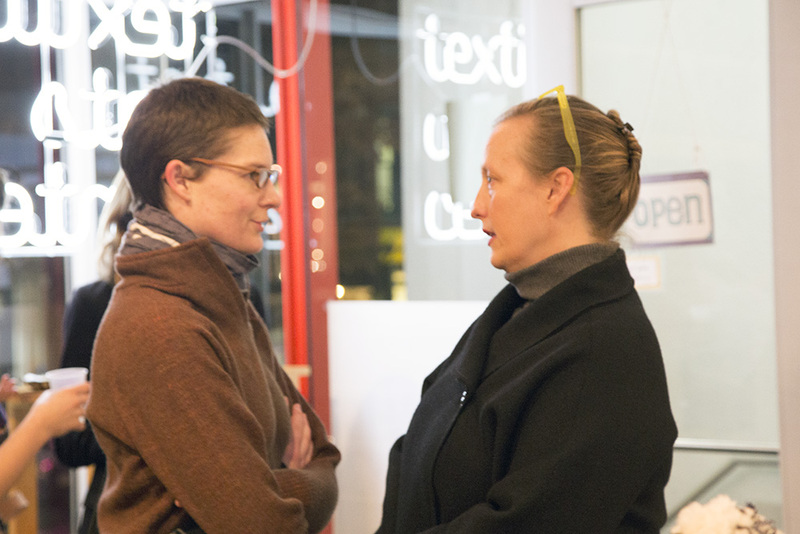 Last Friday evening, many people braved the bitter cold to join us at the cozy Textile Arts Center's Manhattan workshop for DELVE Networking, Fabric(ation) + Art. 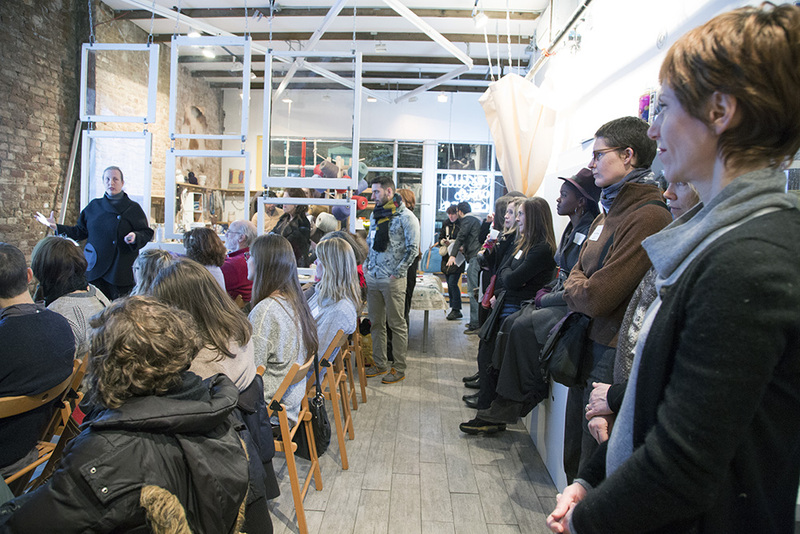 It was a seriously inspiring group of artists, graphic designers, architects, fashion designers, students, Textile Arts Center fans, interior designers, entrepreneurs and more. 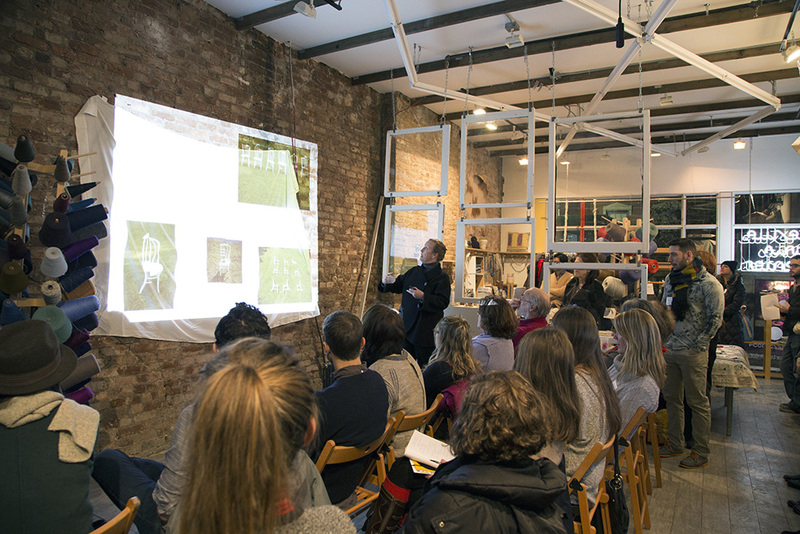 Fiyel Levent and Annie Coggan gave inspired talks about their work and process, each diving into what the idea of fabrication means to them. 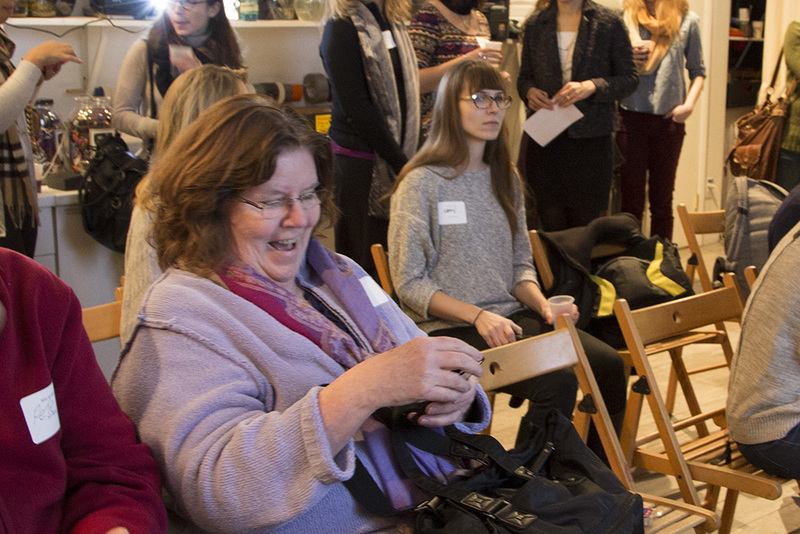 We had the chance to announce our brand new Toolkit for Artists and Creatives that is part of the DELVE suite of services, which also includes events and bespoke workshops. 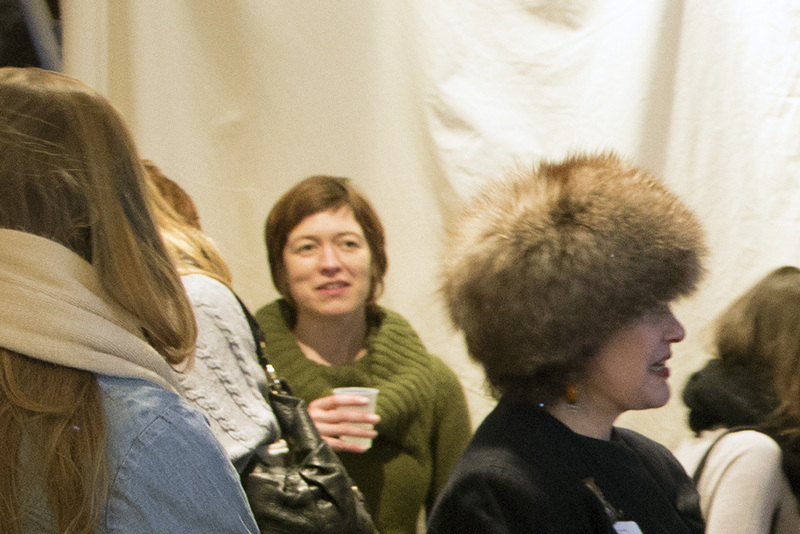 If you are an artist or creative looking to grow your community or build your practical professional skills to enhance your practice, check out our new site and take action on projects that are important to you. Plus, in this post we also wanted to share some tips for what to do after these networking events to keep building your community. 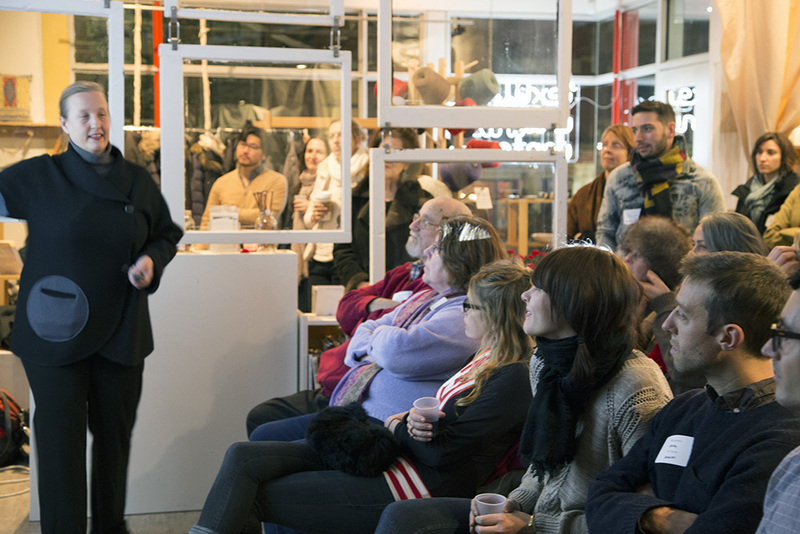 We had the opportunity to hear about and be inspired by the processes of two talented architects/designers/artists who redesign, beautify and transform the way we use and think about everyday objects and the spaces we inhabit. 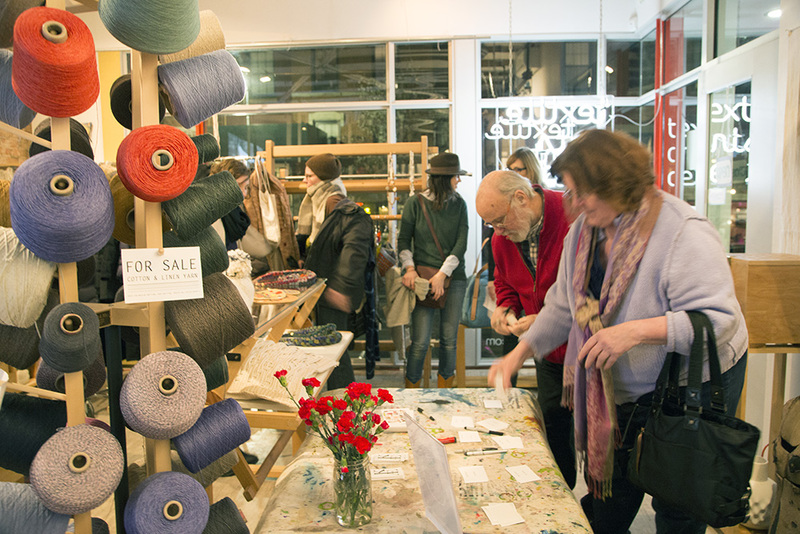 The Textile Arts Center, an organization that symbolizes experimentation and learning based on fabric and textiles, is a great space to think and talk about fabrication. Meeting new talented people from all around the city (and world) really opened our eyes to so many more inspiring projects that are going on. Hearing Fiyel Levent talk about her process was really enlightening, and it was amazing to hear how her travels around the world have influenced her designs for furniture, objects and paper goods. Experimenting with different materials is very important to her work. She took us down the fascinating path of how she actually makes her intricate, beautiful objects. She left us with an important thought: from designing her furniture and objects to her paper goods, fabricating locally has become incredibly important to her as she moves away from creating every single one of her pieces on her own. These intricate shavings were a by product from her screens on the right, an unexpected surprise. 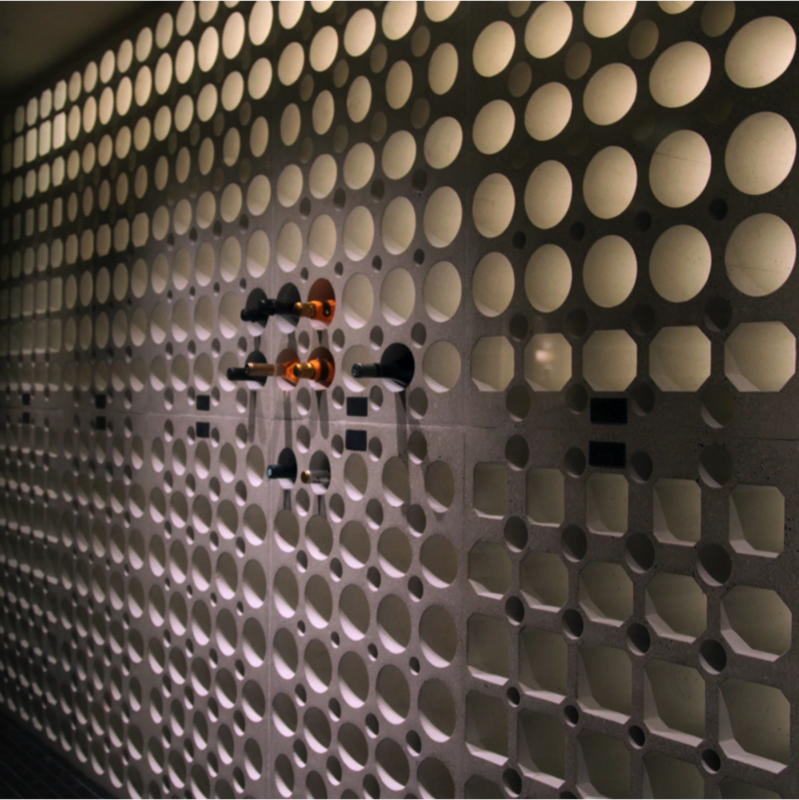 The blue foam cylinders, collected from art supply stores all over NYC and then some, became the molds for this gorgeous wine rack for a private client. Annie Coggan's work explores, in her words, "rooms, objects and stories: three preoccupations and their subsequent consequences." First, Annie took us on a tour of incredible rooms that she has designed, and the objects (especially chairs) that she remakes for certain persons from history. Each space, object and drawing is infused with deep historical meaning, usually based on a specific individual chosen and interpreted by Annie. As a mother, teacher, instructor, designer and artist, her fabrication methods thrive on self-imposed rules, whether all materials must be salvaged, or she works on projects in pieces through embroidery in the evenings so she can always be producing. Thanks to everyone who attended and participated and we hope to see you again soon! Follow up and say hello! Just send an email and check out the other person's website. Simple. Do it before you forget. Add each other to your mailing lists. Connect on social media. This is a great way to stay in touch. It seems we all use Facebook these days to share art events and Twitter is an easy way to stay in the know. Comment and interact with the event organizers. We have a blog and hope you'll comment on pieces that interest you and leave your website and introduce yourselves. Join our community! Schedule a studio visit. We are huge fans of studio visits with new friends of colleagues. So if you've hit it off with someone, there's never a better time to get some feedback on your work, or vice versa. We all live here to create and share what we do.